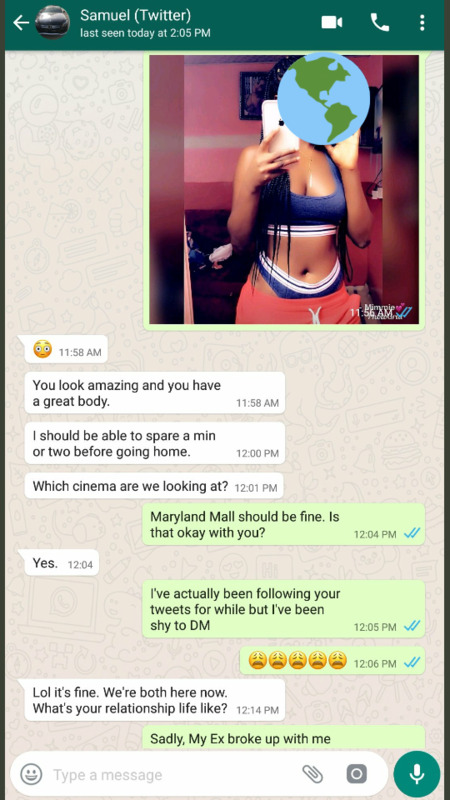 A Nigerian lady who employed an online investigator to find out if her boyfriend is faithful has been left in total shock of the unpleasant outcome. 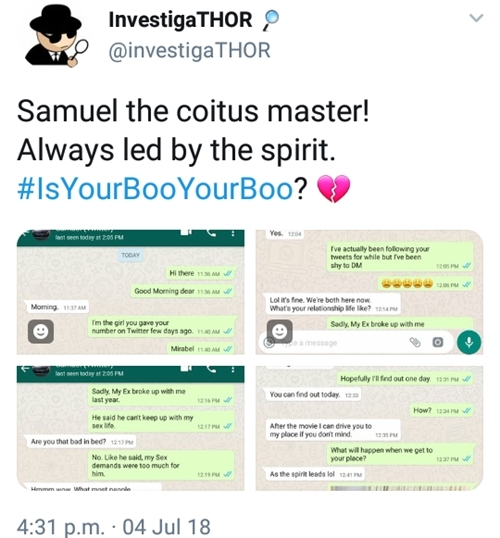 A young lady who decided to find out if her boyfriend is faithful, contracted an online investigator on Twitter (@investigaTHOR) to help her dig, has been left shocked with the findings. 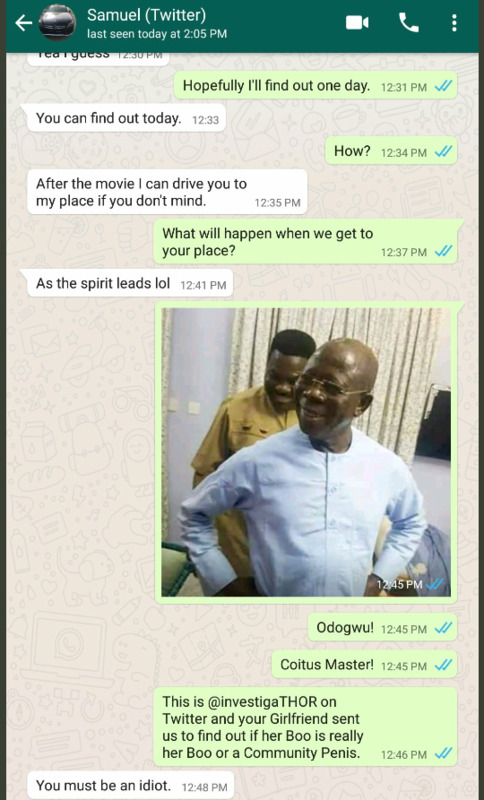 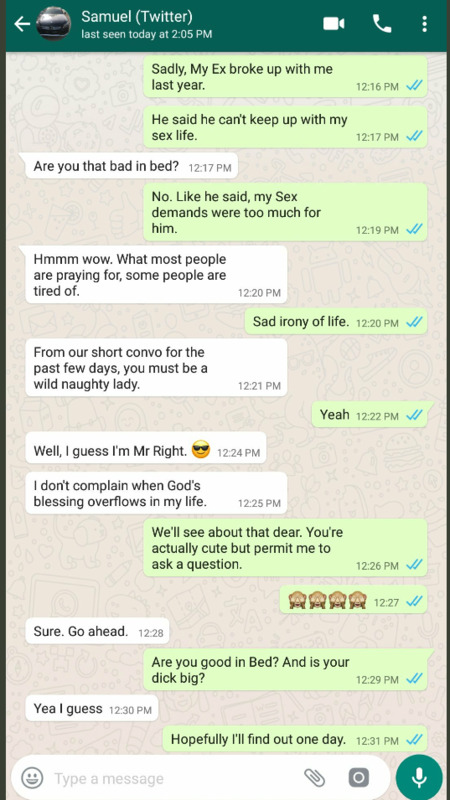 Screenshots of the hilarious Whatsapp chats from the investigation revealed how the lady's boyfriend was tested and he failed woefully. 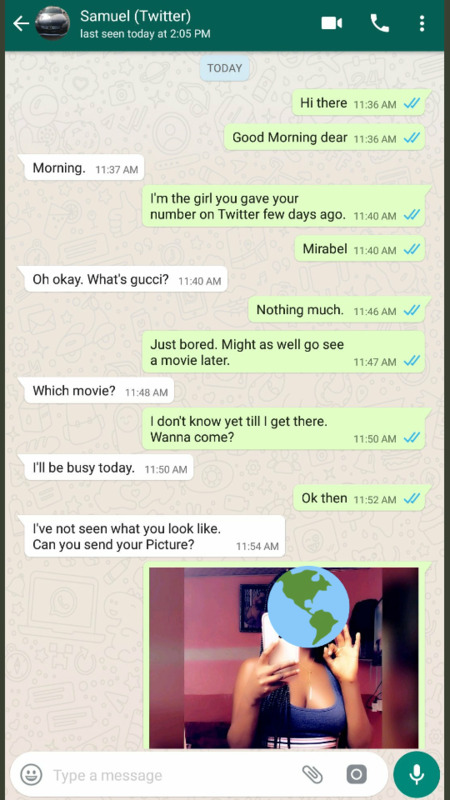 Below are the screenshots of the chat between the unfaithful boyfriend and the investigator.